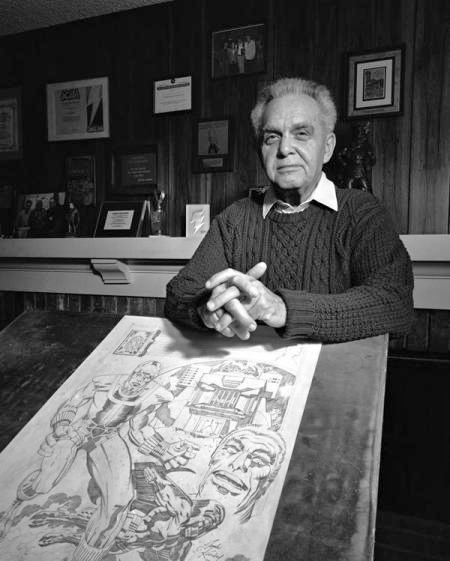 In honor of Jack Kirby’s birthday (August 28, 1917 – February 6, 1994), posting links to the Jack Kirby documentary on YouTube. Last but not least, here’s some great Kirby links, from Tom Spurgeon’s blog. August 28, 2012 – Jack Kirby links and news round up. This entry was posted in Jack Kirby. Bookmark the permalink.